We have hiked at Round Valley Regional Preserve near Brentwood before and wanted to go back for a bike ride so we finally did. We parked in the large dirt lot that has never been close to full each time we've come here. We grabbed our bikes and started out on the Miwok Trail. This trail is also open to hikers and equestrians. After passing over a bridge the trail began climbing right away. A tough climb to start out our day but a quick descent followed. A few more tough climbs and some small rolling hills before the trail flattened out a bit. 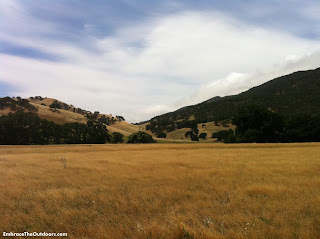 We came across some nice views from the valley of the surrounding hills. We stopped to take some pictures and enjoy the breeze that had just picked up before heading back. 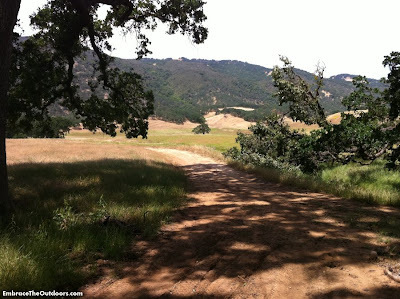 We traveled just under three miles each way on the hard packed dirt Miwok Trail. 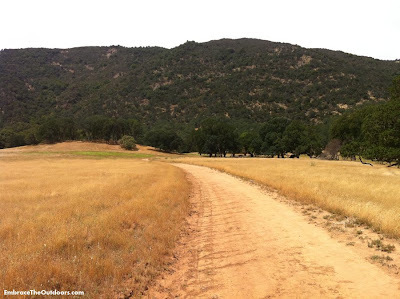 Most of the trail is exposed so morning or evening time in the summer is the best time to go. 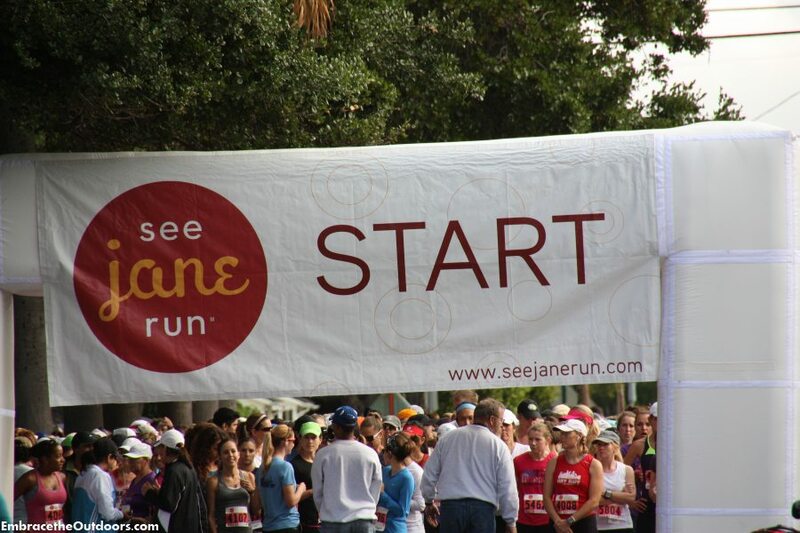 The See Jane Run race benefiting the nonprofit organization Girls Inc. took place in Alameda. There was a 5k and a half marathon, I participated in the half marathon. It is a women's race but men are not excluded. 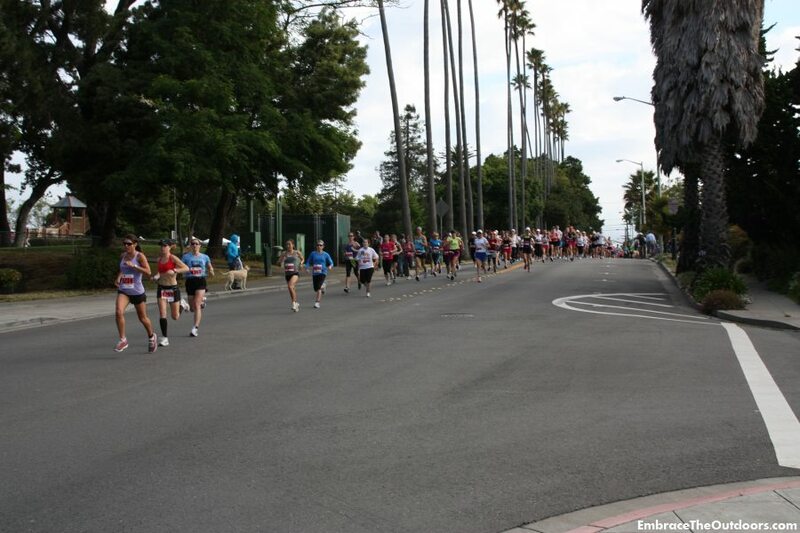 Race registration fee ranged from $75-$95 depending on when you registered. It included a technical tshirt, goodie bag, and chip timing. 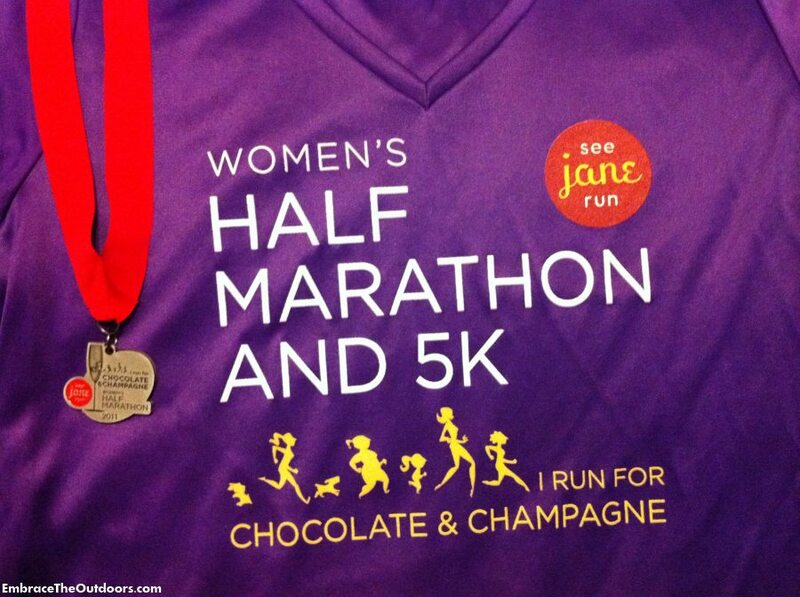 After the race you received a finisher's medal, champagne glass, champagne, chocolate, and postrace goodies. Bib, t-shirt and goodie bag pick-up was available the week before the race at various See Jane Run locations but the timing chip had to be picked up the day before or the day of the race. People who picked up their bib the day of the race had to then stand in a separate line to pick up the chip. Some people were upset about this process as well as about the type of timing chip being used-the one that wraps around the ankle. The race start was in front of Washington Park. The half marathon started first at 8am, the 5k had staggered starts starting a half hour later. The race route went down the street towards the shoreline and followed Shoreline Drive a couple of miles before going across the San Leandro Bay on the Bay Farm Island Bicycle Bridge. Following along the nearby park and golf course it was nice and quiet. After passing by the edge of the Oakland Airport I was back along the shoreline until crossing back over the bay. After the bridge it was just a matter of retracing my steps to make it back towards the finish which was at Crown Memorial Beach Park. 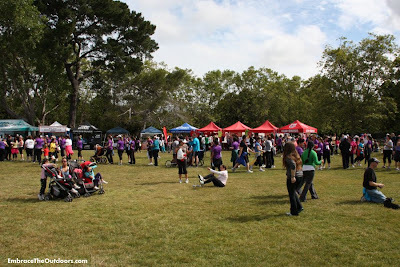 There were about three or four aid stations along the course providing water. As I understood there were no sports drinks available and a few people were not happy about that. There was GU available at about mile eight which was much appreciated. 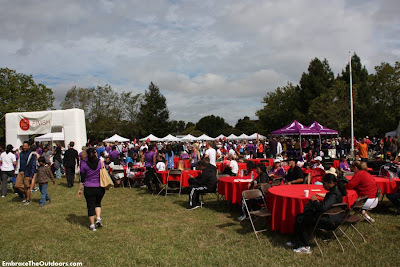 There were also a few porta potties throughout the race but not at every aid station as was advertised before the race. Once through the finish line there were crowds of people everywhere. Somehow I got my finishers medal and managed to hand off my timing chip to the appropriate person. After that I was unsure of where to head. There were lines everywhere I looked. 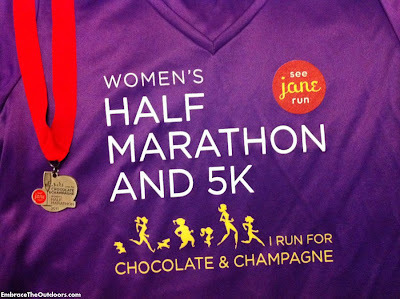 I didn't see the water or food so I headed towards the people handing out the champagne glasses filled with chocolate. I got mine and moved on. I came across some bagels, bananas and chips so grabbed a few before finally finding the water. It would have been nice if the different stations had been labeled so that I could have gone to the much needed water first. There were several booths as well as a stage with music at the park. I made my round and got some more free goodies like luna bars and coconut water (my favorite). As I did this I came across two very long lines for champagne and decided to skip it. It had been expected to rain but turned out to be a nice clear day. The energy and atmosphere for the event was great and the course was nice as well. If some things were changed like the timing chip itself, the chip pick-up and the guidance of runners post race I would definitely do it again.